Scientists from Southwest Research Institute (SwRI) have discovered hydrogen gas in the plume of material erupting from Saturn's moon Enceladus. 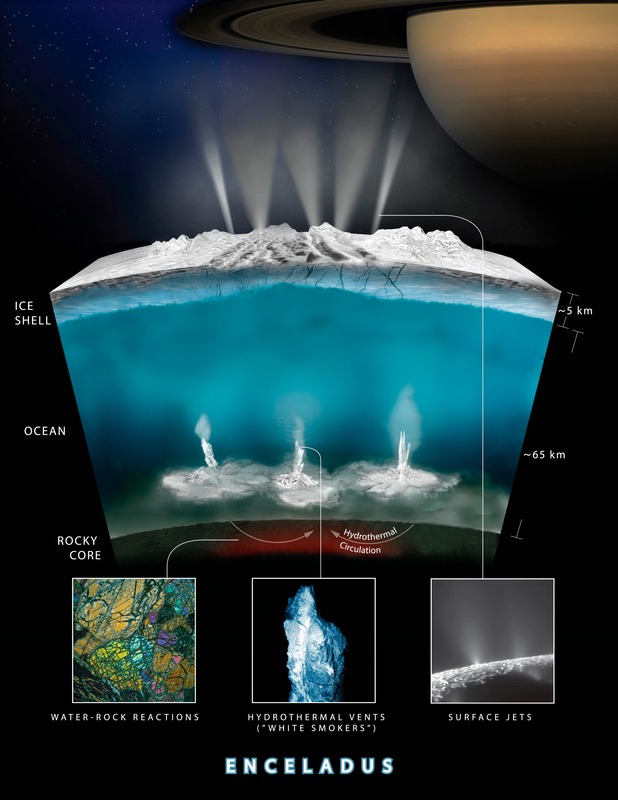 Analysis of data from NASA's Cassini spacecraft indicates that the hydrogen is best explained by chemical reactions between the moon's rocky core and warm water from its subsurface ocean. 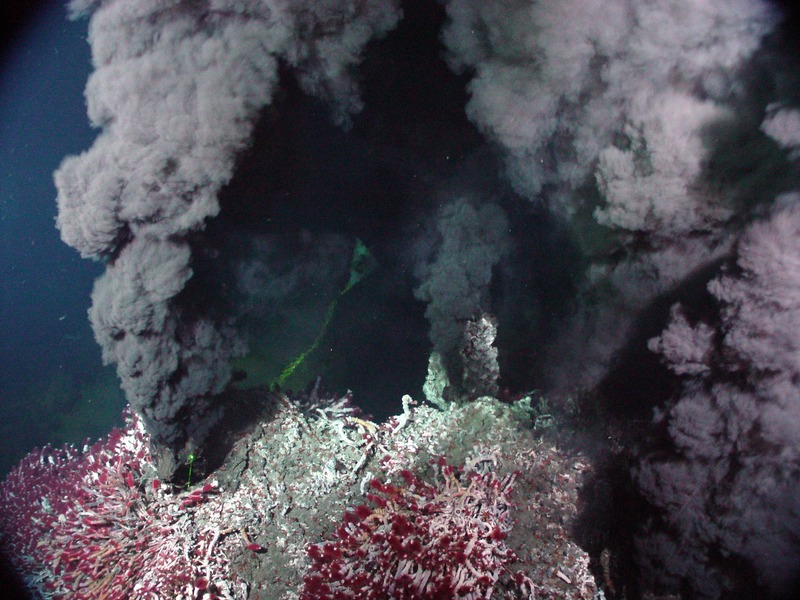 The SwRI-led team's discovery suggests that Enceladus' ocean floor could include features analogous to hydrothermal vents on Earth, which are known to support life on the seafloor. Image top of page: With thanks to space artist Joe Bergeron.